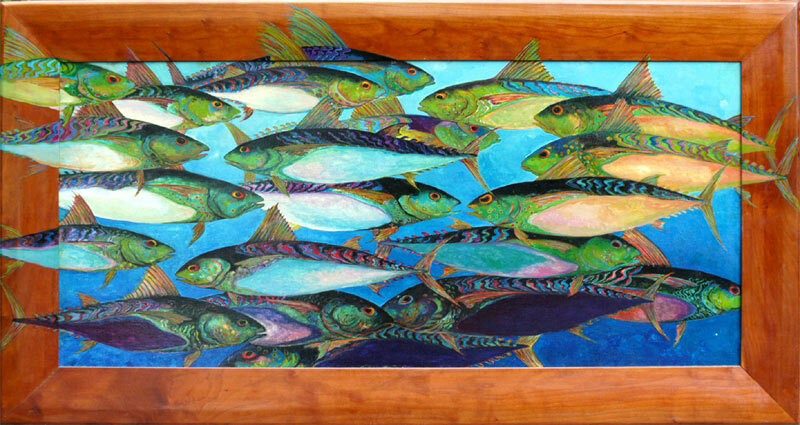 "I began painting on wood in 1978, completing a series of stairs for one of the homes my husband, Richard Coakley, designed and built. I continue to paint stairs, telling stories about the saltwater environment surrounding each home, by creating scenes of the forests, waters, fish, seals, deer, foxes and people that live here. I decided to also create individual pieces that were painted on wood, and framed to be hung on the wall. I have been deeply influenced by early itinerant muralists who travelled from village to village painting scenes directly on the walls, bringing color and stories to each home. I work with watercolor pigments because they seem to capture the luminescence of color. By layering my paints and using varnish in between layers, I am able to create a sense of depth. I use wood board as my canvas, sealing it with gesso first. 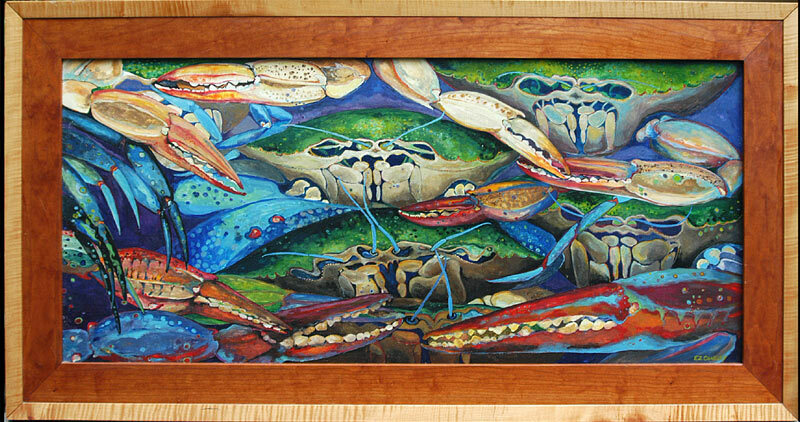 My frames are an important element in my paintings; they are usually made of cherry and maple woods. 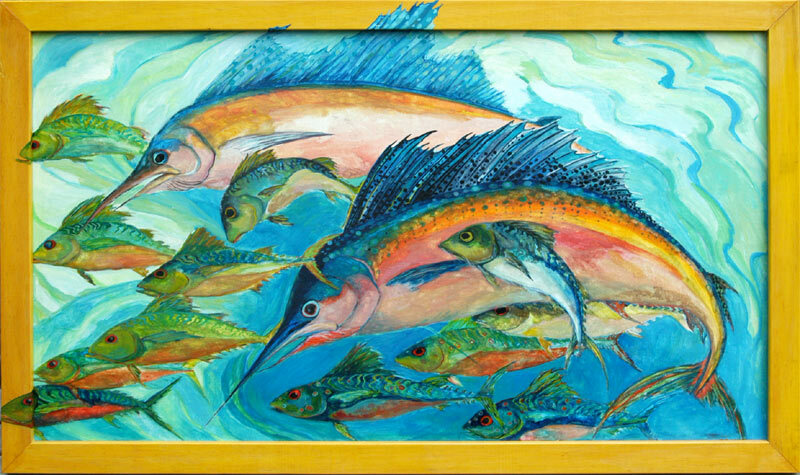 I often carry the painting over the edges of the frames continuing the story."